DayLight Scripture – He was despised and avoided by others; a man who suffered, who knew sickness well. Like someone from whom people hid their faces, he was despised, and we didn’t think about him. 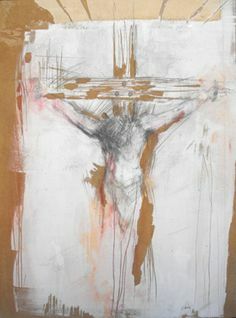 It was certainly our sickness that he carried, and our sufferings that he bore, but we thought him afflicted, struck down by God and tormented. DayLight Prayer – Lord, As we begin this journey to the cross, help us to contemplate our relationship to Jesus and what happened in Jerusalem. Are there any who do not believe? Are there any who doubt? May your Holy Spirit minister to us as we look upon the suffering of your son. May we see the depth of his sacrifice. Amen.